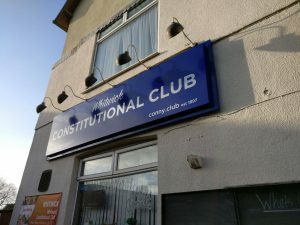 Welcome to the Whitwick Constitutional Club website! Locally known as The Conny, it’s THE place to go in Whitwick for evening entertainment at the weekend. We also have a bar with pool table for socialising. We host regular entertainment for the whole family, ranging from Tribute Artists and Live Bands to Karaoke and Family Discos. The Conny is the heart of the community, hosting Whitwick’s Winter Wonderland and many more community events.